So, I figured I'd just dive right in and share a short little experience I had this morning. I'm just copying and pasting over what I wrote in my personal LD/AP log journal. Fair warning, it's pretty long because I was putting in as much detail about how I induced it and what I experienced as I could recall. TL:DR for those goggling at this huge wall of text: Had a short but successful AP this morning by tilting myself forward into hypnogogic imagery; couldn't see after projecting and intended to fix that later after completing separation; had a long fleshy protrusion on my head like that Star Wars alien dancer; "fixed" it by visualizing hair and shaking my head; popped back in body before I could do more. I got started with my LD/AP work a bit late this morning, but I really wanted to work on it so I went back to bed. It was storming a bit, so it took a little while to be able to get into the proper state. It had been a week since I had started working on AP/LD every morning again after taking a week off. I did take a day off yesterday though since I didn't get much sleep that night and just wanted to rest. After the storm passed, I was able to use my usual method of counting and mantras. I used both LD and AP mantras. After awhile, I began drifting in and out of hypnogogic sound and imagery. I was still awake and alert enough to observe these things without losing consciousness, which I took to be a good sign. After a little while of walking this delicate balancing act, my body was deeply relaxed (I'd turned on my side from my back after a little while). The hypnogogia shifted into simple color and light patterns. Usually this is actually the first stage of hypnogogia for me, but since I'd already been experiencing hypnogogic imagery I figured I was still pretty deep in trance. I lay there for a moment, watching the colors wash and drift in front of my eyes, feeling light and relaxed, still repeating the mantra to myself and focusing on the intent to move away from my body. I was using a sort of sensory visualization technique, deliberately "feeling" the sensation of separating as a sort of background noise, not trying too hard and not deeply focusing on making it feel "real," but just sort of holding the idea of it in my head. After a minute or so of this I began to feel some very light vibrations in my body, and I decided to try "tilting" myself forward into the lights. When I tried this, the sensation was fully physical, and for a second I thought I was physically sitting up, but I could feel both my physical body lying on the bed and my astral body tilting forward when I stopped to take note. The vibrations were intensifying slightly as I did this. They still weren't the full-blown, teeth-chattering vibrations I've felt a few times while APing in the past, but they were certainly strong enough to be noticed. I tilted forward like this once, twice, three times, each time pulling more free of my physical body. By this time the hypnogogic imagery had faded and I was left blind. But I was focused more on getting "out" for now-- I'd focus on regaining sight later. Usually it was just as simple as opening the eyes on my astral body. I began lifting my arms, raising them and lowering them and raising them, feeling them pull loose of my physical body and become more solid. 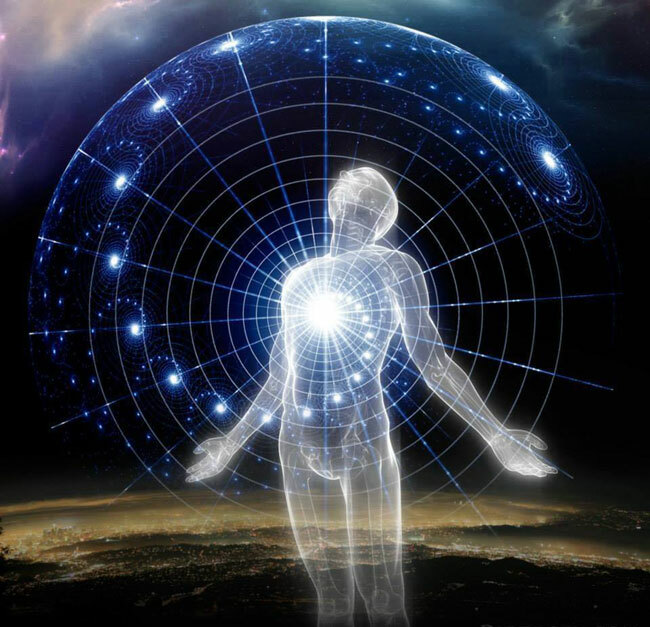 For me astral projection feels a lot like peeling your astral body away from your physical form. Or that's one way it can feel-- I've felt everything from floating near the ceiling to rolling sideways out of my body. Recently the peeling sensation is the most common. It's actually a bit annoying because I have to struggle to break loose. It feels like thousands of tiny viscous, sticky threads are holding me to my body. I felt as if there were something over my head, like a blanket or a pillow, even though I was sitting up. (I didn't have a pillow over my head in the physical world but I was snuggled up with one against my face so I could have been feeling that) I reached up and felt my head, and felt a long, fleshy protrusion reaching down from its top. Later, I was reminded of the alien dancer in Return of the Jedi-- the Twi-lek-- except that it was a single protrusion instead of double. As usual when I see or feel odd things about my body in AP, I just took it in stride and decided I'd "fix" it later. It's usually just a matter of slightly skewed self image, sometimes confused by things in the physical world such as the pillow. Or it could have been a matter of feeling the sense of my astral form slightly stretching like a rubber band as I pulled loose. Either way, it was just one of those random things that happen during AP. I stood up, still blind and moving very slowly and methodically as I had been doing. I was experiencing this AP as a fully physical sensation but I felt like I wasn't fully "out" yet and needed to continue to strengthen it. I reached up and felt my head again, running my hands down the protrusion, and decided to go ahead and fix it. I pushed a strong intent that the protrusion was actually hair, and began shaking my head rapidly from side to side, visualizing the feeling of hair hitting my neck and shoulders until I began to feel it. I reached up and touched it again and felt hair between my fingers that time. It was thick and maybe a bit tangled, and in a high ponytail, but it was hair. Unfortunately, as soon as I achieved this, I popped back in my body. Actually, it was interesting how that happened because I didn't wake up. My focus and awareness just jumped from one form to the other with seamless awareness. That was a great experience - sounds just like something I could have written years ago. The 'peeling out' is so frustrating isn't it? I always knew I had X amount of time before coming to full waking consciousness and I also knew that trying to get out took over half of the damn time! That was a great experience - sounds just like something I could have written years ago. Hello! I'm definitely feeling good about that experience, despite the fact that it was cut short-- mostly because after many, many years of having spontaneous AP experiences that I had no control over beyond just rolling with them and embracing them when they started to happen, I'm finally learning how to induce them deliberately. Which is an amazing feeling. Would love to read some of your experiences as well! The 'peeling out' is so frustrating isn't it? I always knew I had X amount of time before coming to full waking consciousness and I also knew that trying to get out took over half of the damn time! That peeling sensation is so frustrating. It's like being caught in a sticky web. Thanks, and I look forward to sharing more! Amyla, you can bypass the "climbing out of the body" stage by immediately changing your focus to another room in your home or some other intended destination. When the conditions are right, you will just find yourself there. You don't need to visualize it. Just create the mental intent/command to be there and you shall. William Buhlman speaks often of how powerful "commands" are like "Clarity Now", when you find that your vision is non existent or faint. These commands work in all instances of "Non physical" exploration as well. Thought = action there instantly. Ah, thank you! I saw this post yesterday and gave it a try this morning as I was doing my morning AP practice. I was struggling with holding my focus on my projected form-- it kept switching rapidly between physical and astral (no peeling this time, but almost as annoying)-- and so willed myself into the hallway at the top of the stairs. It stabilized fairly well at that point for a minute or two, but after I walked down the stairs, I seemed to enter a dream where I was interacting with my family and they didn't recognize me and got hostile, thinking I was an intruder. So, not sure what that was about. Heh.